I have a confession, albeit a good one. I just spent $600 on an online course. Yep, that’s right. Six. Hundred. Dollars. On one online course. Over the past few months I have been shoveling money into my emergency fund like a mad woman trying to prepare for self-employment. And, thanks to everyone’s very supportive comments I had a talk with my boss this week. I’ll be self-employed soon – real soon. So you may be wondering why I’d fork over such a large amount of money when I’ll be treading into the waters of shaky self-employment in the near future. Just like many of you went to college to invest in yourself, this course is an investment in myself. I am being taught the art of writing, more specifically blog writing, from one of the biggest experts on the internet. He and his team help me make connections, craft killer headlines, and even edit my blog posts. Since I plan on making a living writing this course is invaluable to me. I truly believe that this course will give me enough skills, confidence, and motivation to take my career to the next level and make a lot more money. After all, I just forked over $600, now I have to act. How’s that for motivation? I am banking on the fact that I am likely to receive a return on my investment. I am not simply throwing money away on this course, but am learning the skills necessary to make money in this industry in the near future. Keep in mind that I am paying significantly less money by taking the course online in comparison to enrolling in university and attending class every day. I believe that I have increased my earning power by signing up for this course and that it could end up being the best investment I have ever made. So, in short I’m investing in myself. Something that I think absolutely everyone should do. I read daily horror stories of recent (and not so recent) college grads being consumed with student loans. These students took out twenty, thirty, or even fifty thousand dollars to go to college. I didn’t. My college experience includes a couple semesters spent at the local community college which financial aid fully covered. My only debt is the loan I took out for my trailer which now has a balance of around seven grand. And, I look at this more like my cost of living, like you would your rent. I passed on this course a few months ago when I first heard of it. I seriously considered taking it then but would’ve had to pay for it on credit, so I didn’t. When the opportunity came around this time I almost passed again. But, I couldn’t get it off my mind! I didn’t want to spend the $600 but all I could think about was the opportunity I was passing up. Something told me that I HAD to do it this time. So, I did. I am very glad that I ended up signing up for the class. This may be one of the best investments I’ve made in my career – ever. Do you invest in yourself? Ever taken an online course? I think $600 really isn’t that much money to invest in yourself. After all, many people spend tens of thousands of dollars on their college education. I always find it ironic when people are hesitant to even invest in a book that will help them improve themselves. I mean, a freaking book is less than $50 usually, but people are too stingy! So which course is it you’re taking? I agree that we should always be looking for ways to improve ourselves and our craft. $600 is a small investment in yourself that will likely pay for itself many times over. Good luck! I am taking Jon Morrows Guest Blogging Course. So far, its been really great. Having professional editors look over my work is awesome. It’s already pushing me to think a little more about what and how I write. So do you still feel it was worth the investment? Hi Alexa! I listened to Jon Morrow’s webinar last weekend and seriously considered signing up for his course too. I think I still will in the future not right now with work and finishing a Master’s degree, I know I wouldn’t be able to dedicate the time. I’d love to hear your thoughts about the course! I just could’t resist it this time! All kinds of awesome information in the course. I’ll do a review when it’s over. Good for you! How long is the course for? I’d love to hear a review about it when you’re done. When I was working in banking I took a few finance/banking self-study courses that the company paid for. I thought it was a great way to get better at a job I didn’t have much training in. However, since I wasn’t actually paying for it myself there were times when I felt like slacking off and wasn’t too concerned. When your own money is on the line, there’s definitely a difference in how hard you work! It’s three months but you can go at your own pace. I think I’ll definitely have went through all the material quicker than three months. Have fun with the course, Alexa. Jon Morrow is awesome. I can’t wait to hear a bit of what you learn. I have paid for many services from various experts over the past few years and none of them delivered, but I am sure you did your research and if that person you’re learning from is one of the biggest names out there, it will surely be $600 well spent. 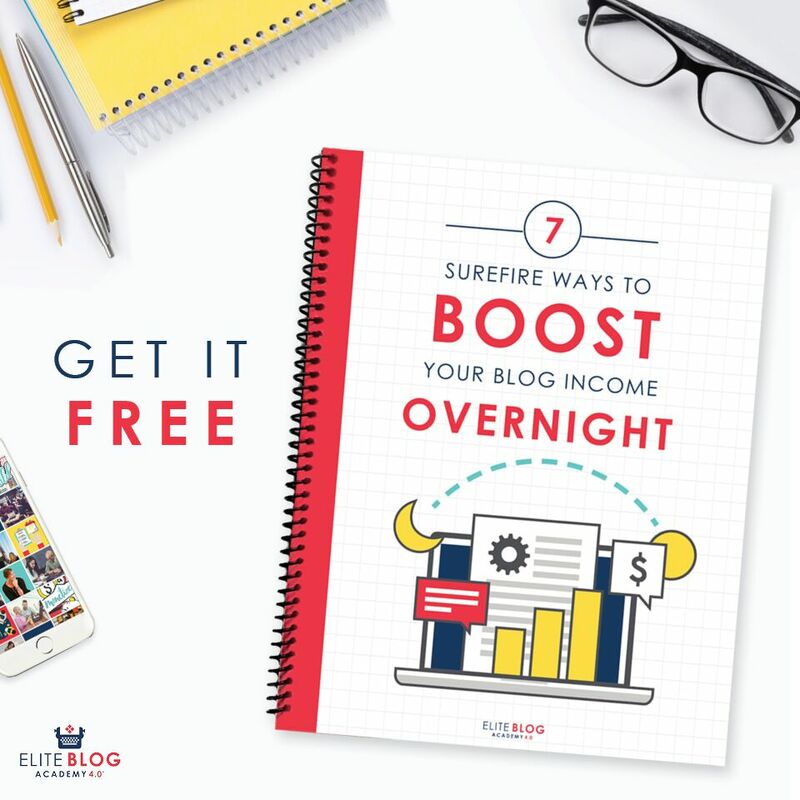 I always thought that blogging is something that you can easily learn for free if you have some time on your hands – and you’re already doing a great job at it – but getting an expert to help and teach you some insider tips and tricks is clearly invaluable. Yeah there are definitely scams out there. I think this may be a bit more of an investment in my freelance writing. I get help with headlines and such and have access to professional editors. So far I’ve really enjoyed it. I’m really glad you’re taking the course. I have to admit I’m not great at making investments in my own skills. Oddly, it’s one of the areas where I may be cheap rather than frugal, but I generally try to work on my skills via books loaned from the library, online videos, blogs, writing my own blog, etc. I’ve yet to pay for mentoring or coaching, though it seems like a logical thing to do (with a potentially huge payoff, too). $600 could net you much more than that in a short time. I’m a lot like you. I rely on books and blogs a lot. I’ve paid for a couple courses but will only do so if I am 90 percent sure I learn skills to earn my money back. Investing in yourself is important. This sounds like a good use of funds. Good luck with the course and please post a review when you are finished! Congrats! I hope it’s a great course! Well I invested in myself by going to fincon which I think will have a good ROI…plus it was fun! I spent my Christmas bonus of £2.5k a couple of years ago to fund one year of law school. I really wanted to do it and I had so much fun doing it! I did not take it any further, unfortunately, as I would need another £10k to complete my degree and I did not have that kind of cash to spend (I still don’t). I think $600 is not a lot to invest in yourself. If this is something you really want to do and you think this is going to benefit your career, do it! Either way, it’s an experience that you would definitely enjoy! Seems like a very worthwhile investment to me, Alexa, and like you said, SO much cheaper than a college degree. I wouldn’t be surprised if this course paid you back many times over with good ideas. This investment is going to pay itself from what is sounds like. I am very glad for you. Keep it up. I see nothing wrong with it! In fact it’s a great move, an investment in yourself, to better your career, why would anyone object. All we ask is that you report on the value you received from the course, so we can decide if it is worth our while, LOL. Good luck! 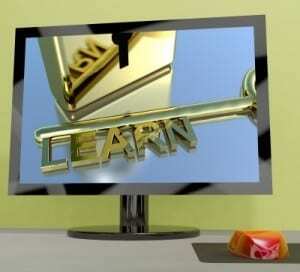 I’ve taken online courses only as part of my degree. $600 is a lot, but hey, if you will get value out of it and if it will teach you actionable and practical skills, that’s great. I have recently decided that it is a mistake to not take paid courses. I have learned a lot from free resources like blogs and webinars. However, this method got me a lot of information in a hodge podge fashion. I would learn bits and pieces about SEO, penguin, ad words, key words etc but it was harder and slower to get the big picture. Very cool! Can’t wait to read that review at the end, but it sounds like it’s going great so far. I invest in myself for my day job, but haven’t so far with the writing. Maybe I should start thinking about it! I will be very interested to see what kind of return you feel you’ve gained from this course. Don’t get me wrong – there’s probably nothing wrong with that course and it could be very helpful. But $600 could have also bought you a ton of freelance articles, expired domains, VA hours, etc that you could have used to get your blog business stocked up and ready. I’m hoping that the course has a lot of personal interaction, and it sounds like it does if they are editing your posts and helping you with headlines. When it’s a wise investment in your future and it’s not a serious chunk of change, I say go for it. In your current financial state, $600 is doable so I’m sure it’ll be worth it. Good luck!